Internet of Things (IoT) is an all-encompassing category of (mostly) consumer and industrial devices that are connected to a network to receive instructions and return information. IoT is an advance on RFID tech, which was used primarily for logistics. IoT requires immutable metadata and security protocols. Programming IoT devices require an additional set of instructions to ensure each device is correctly identified and unique. Usually, the devices programmed also receive an external identification mark, such as a laser-engraved id or QR code. The Internet of Things includes everything from smartphones to industrial pumps, such as smart appliances, smart energy meters, wearable devices, connected/autonomous vehicles, smart home devices (thermostats, lighting, entertainment, security, etc. 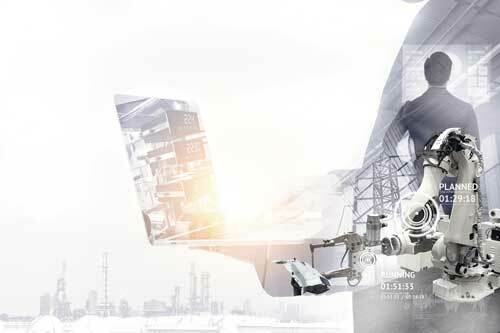 ), industrial (tracking, logistics, supply chain, sensors, etc. ), smart cities (pollution, traffic, water, parking, power, etc. ), agriculture (sensors, water usage, robotic vehicles, etc. ), retail (inventory, layout management, security, etc. ), and healthcare (implanted devices, wearables, etc.). IoT includes everything from smartphones to industrial pumps, such as smart appliances, smart energy meters, wearable devices, connected/autonomous vehicles, smart home devices (thermostats, lighting, entertainment, security, etc. ), industrial (tracking, logistics, supply chain, sensors, etc. ), smart cities (pollution, traffic, water, parking, power, etc. ), agriculture (sensors, water usage, robotic vehicles, etc. ), retail (inventory, layout management, security, etc. ), and healthcare (implanted devices, wearables, etc.). 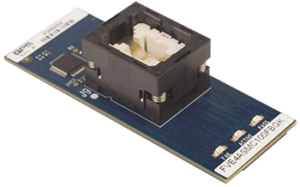 Powered by the newest 9th Generation Technology, BPM automated systems deliver the fastest programming speeds in the industry for MCUs, eMMC HS400, NAND, NOR, and Serial Flash devices. BPM’s 9th Gen technology produces 200 MHz signals, transferring each byte of data in up to 2.5 ns―up to 9 times faster than competing systems. 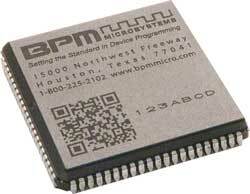 BPM’s Automated Programming Systems have up to 12 programming sites, with up to 48 individual socket cards, to support high-volume production. Our Vector Engine Co-Processor accelerates flash memory waveforms for programming near the theoretical limits of silicon design. The faster the device, the faster it’s programmed. Our 3D Vision option inspects BGA, CSP, QFP, TSOP, SOIC and J-Lead devices for lead and ball coplanarity. Marking options include Raydiance™ Laser Marker and support for third-party labelers. Software API tools integrate your manufacturing process for tight inventory control and process management. BPM offers True Universal Support―one solution for all your device programming requirements. It’s compatible with many existing 7th Gen and 8th Gen socket cards and algorithms, so our customers retain the value of asset investments. One universal programming site accommodates all devices, reducing the number of systems, sites, and sockets needed. That saves you money, training, complexity and floor space. Socket cards provide the electro-mechanical interface between your device and the programmer. They deliver high-fidelity waveforms to the programmable device, ensuring very high first-pass yields. Each individual socket card can be fully utilized and easily replaced to maintain full programming capacity. Our socket card design, with a receptacle socket option, increases your manufacturing up-time, produces higher first-pass yields, and reduces replacement costs by up to 75 percent.